New Personalised Hard Glasses Case. Excellent design is the basis of our new personalised hard glasses case. Unlike a soft personalised case, our customised hard glasses case adds a high degree of protection whilst giving a personal touch. Made from a durable, shatterproof plastic, our case has a snap shut close action lid and a felt lined interior. 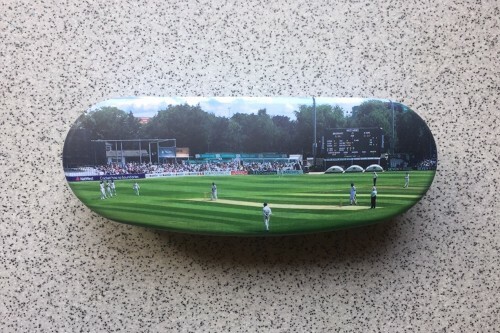 This personalised photo glasses case is perfect for glasses and sunglasses of most sizes. It comes with a plain white microfibre cleaning cloth – which you can personalise as a separate item to match your case. Your photograph is thermally embedded 80 microns deep into the cover surface of our hard glasses case and wrapped around the edges. The image is then a part of the spectacle cover itself and will not scratch, peel or fade away. Upload your photo into our on-line designer and scale it to fit the dimensions of the case, keeping important detail away from its edges. Our designers will check your design and may make small adjustments to improve the overall quality of the case. Please note the your image will be repeated on the bottom of the section of the case.